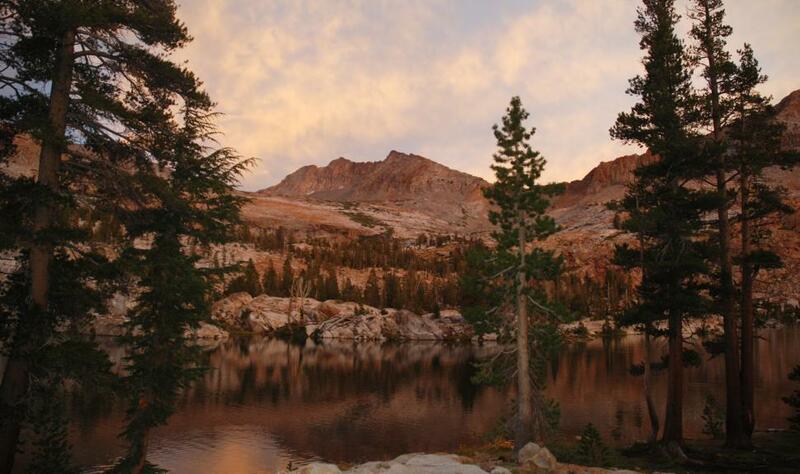 The Yosemite Red Peak Pass backpacking trips are perfect for the adventurer looking for classic High Sierra views and alpine lakes (lots of lakes actually) with more solitude. Red Peak Pass will have you gaining elevation as you make your way up to the Merced River Canyon to this pass which crosses the high peaks of the Clark Range in Yosemite. This area is a rarely visited Yosemite hiking trail due to its rugged terrain, but your efforts will be rewarded with pristine alpine lakes and above tree-line landscapes that allow for open star-gazing at night. **Shuttle – this trip starts along Glacier Point Rd. If you do not have your own transportation and are taking YARTS, you will need to reserve space on the early (8:30am) Glacier Point shuttle. Spaces are limited and there is a fee. It’s the last day and as we head back to where we started, we will pass by the top of the 500 ft tall Nevada Falls as well as Panorama Point, moving away from the crowds again as we head back to Mono Meadow. The hike to the trailhead in Yosemite Valley is about 7 miles (11.3 km). We are typically back in the Valley by lunch time. Once we get to the vehicles, we will unpack the gear and everyone will be on their way for whatever next adventure awaits!